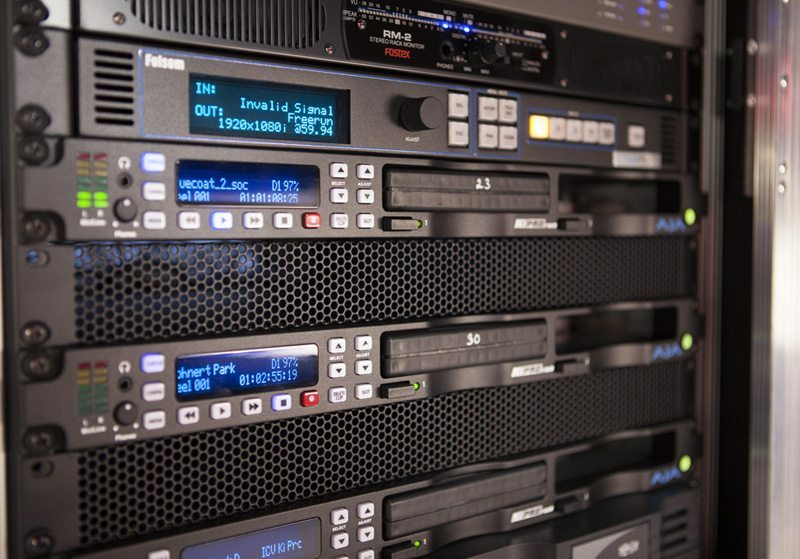 These digital recorders record 10-bit Apple ProRes and Avid DNxHD files direct to removable hard disk or SSD Storage Module hard Drives – whcih we provide with your rental. Recording in this way eliminates the need for time-consuming logging and capturing. The files can be used directly in most editing systems such as Final Cut or Avid without the need for additional transcoding or importing. Use these as backups and record to tape if you like. Or vice versa. We have routing patch panels built into the Flypacks to allow you to route your signal anyway you like. The Ki Pro features AJA’s industry leading conversion technology enabling you to do broadcast-quality up/down/cross conversion during recording or playback without the need for additional hardware. Anyone familiar with a tape deck can use a Ki Pro Rack. A bright LCD onscreen menu ensures quick setup and a rapid learning curve. 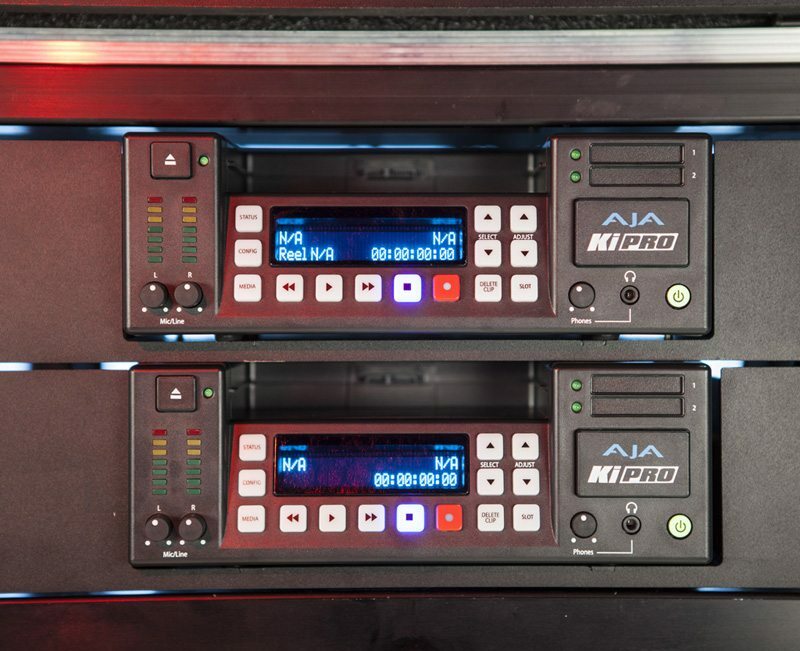 The twin media drive bays on the Ki Pro Rack allow extremely fast media changes – you can switch drives and start recording in seconds, without having to wait to eject the first one. 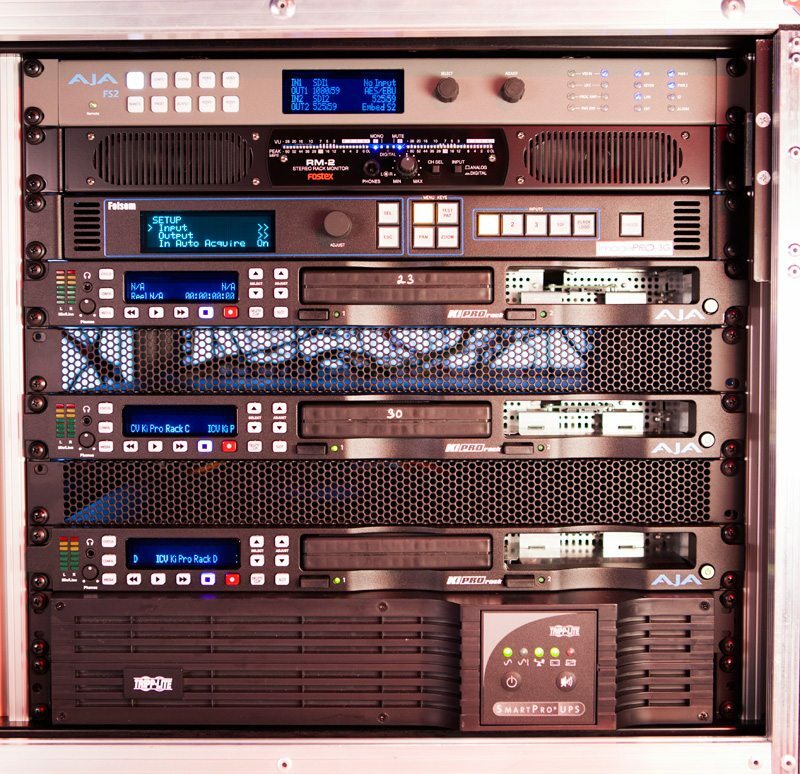 Because of its network connectivity, media can be copied to and from a Ki Pro rack recorder over an Ethernet connection, allowing fast file transfers without the need to pull the drives out.